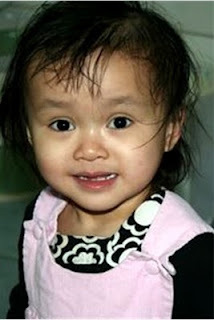 As many of you may know (if you've followed my blog within the past year) my sister and her family are adopting a beautiful little girl from China. Her name is Khloe and she is a bright and beautiful toddler (trust me, I've had the privilege of seeing many photos and videos of her). Well, Tanya's family just received their TA (travel approval) and will be leaving for China in approximately three weeks. That being said, the funds needed to get there are really tight and, at the request of several friends and family members (including me), Tanya has opened up to the idea of putting a donations widget on her blog. Will you consider giving? Even the smallest gifts will help them on their journey to this beautiful little girl. I understand, though, that giving comes with a price - so Tanya has found several people who have happily donated prizes to be given away in a drawing and all you have to do to be entered in those drawings is give a suggested donation of $10 or more. How do you do that?! Well, you can visit the blog, Bringing Khloe Home, which was made for this very purpose (this is also where you should go to view those great prizes!). Otherwise you can donate on the widget that is in my right sidebar (this is the widget that will contribute to their adoption, I just volunteered to put it up on my blog as well). More than anything, I encourage you to visit Bringing Khloe Home and read their story of where they are right now. My sister is a very phenomenal woman, her family is completely amazing, loving and generous; they helped me through some of the hardest times of my life, and now it's my turn to pay it forward back to her. Will you help?! Any donation is greatly appreciated! I also understand being in a position of not being able to make a donation and, if you are in that position, can you make a decision to pray for my sister's family as they raise funds, throughout their travels, and as they bring that precious babe home?! Every prayer and every donation is appreciated!